Great News! EBS has partnered with a leading Australian SMS service provider in response to increased demand from EBS customers for improved communication capabilities in Microsoft Dynamics NAV. EBS can now offer SMS sending capabilities to Microsoft Dynamics NAV customers. EBS SMS Easy is a seamless, integrated service that will help to improve your communication with customers, vendors, employees and sub-contractors using your Microsoft Dynamics NAV system. 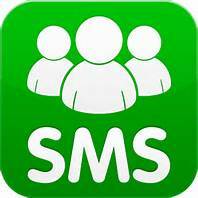 We can also customise a solution to suit the specific SMS requirements of your organisation. *Overage = how much you pay for each SMS over the allocated quota. For example, in a basic plan you can send 400 SMS for $60 but if you send 450 you will be charged for the additional 50 SMS in this way $72.5 (60 + 0.25*50). We can also create a tailor made plan for you. So, if the plan options do not suit your needs, please contact EBS on 1300 303 973 or email info@ebsys.com.au to discuss your SMS Easy requirements. If you have outdated business software that’s limited in its reporting and analytical capabilities – then you should to talk to EBS about a powerful business management software solution – Microsoft Dynamics NAV. To find out more about Microsoft Dynamics NAV or other Microsoft business management software solutions, please call Paul Woods at EBS for an obligation free discussion on 1300 303 973. Evolution Business Systems (EBS) is a business management software specialist that equips its clients with software designed to achieve their business goals. Melbourne based EBS is a Microsoft Gold ERP Partner specialising in Microsoft Dynamics NAV and other Enterprise Resource Planning solutions that can be tailored to the needs of small to medium-sized businesses. We can automate your core business processes and integrate your specialist applications with the right financial management solution. Our suite of Microsoft Cloud products suit businesses who have outgrown their accounting system giving them a full featured ERP system: Microsoft Dynamics NAV, Microsoft Office 365 and Microsoft Azure packaged at an affordable monthly subscription price. We work alongside our clients to understand their business and vision, and offer solutions to support these both now and into the future.